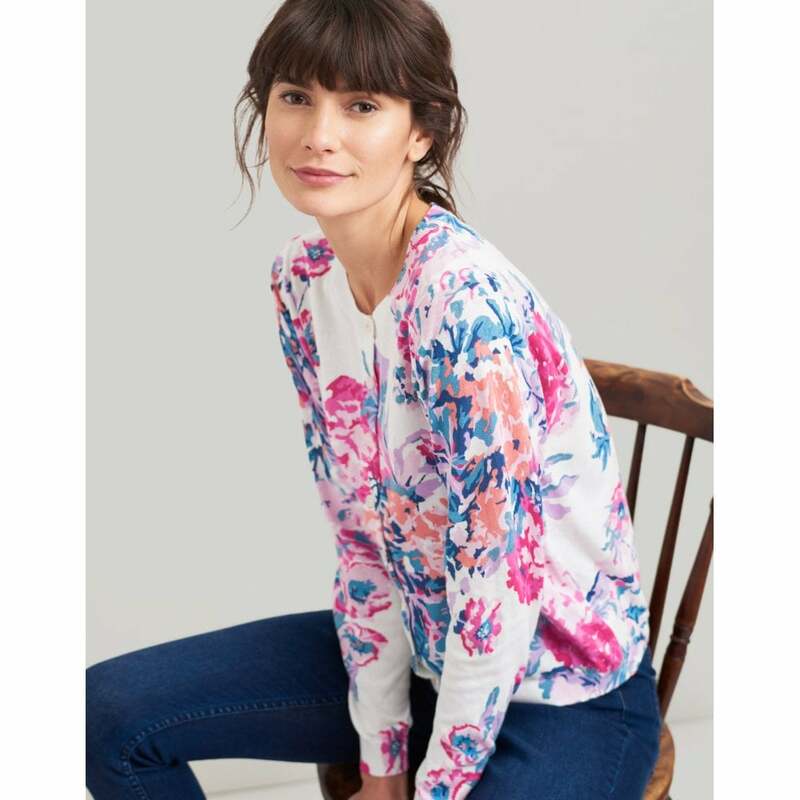 We love this seasonal cardigan, it's just perfect for adding an extra layer of warmth when there is a chilly breeze on a summers evening. Available in the beautiful cream floral print it goes well with any outfit, adding an elegant chic. Pair with your favourite jeans and a pretty blouse for a flattering casual look.